Cakes & More: Baking Stuff From The USA Every Baker Dreams Of! A question I am asked quite often, my husband or friend will be traveling to the USA, what baking stuff can I get from there? Counting my blessings, the scenario is much better now in India, but here are some things you might want to buy from the USA or elsewhere. Way better prices, great quality, all those premium brands. They are also so much more easier to find and shop. This Black Friday, 24th November, (and later) don't miss that chance to get some precious things you will love using! I haven't personally used all of the products and brands mentioned below, I have used a few. I have mentioned the brands after referring books from David Lebovitz and Rose Beranbaum. Watch the video! Please subscribe to my channel to watch a new video every Monday! Click here to subscribe for new videos. 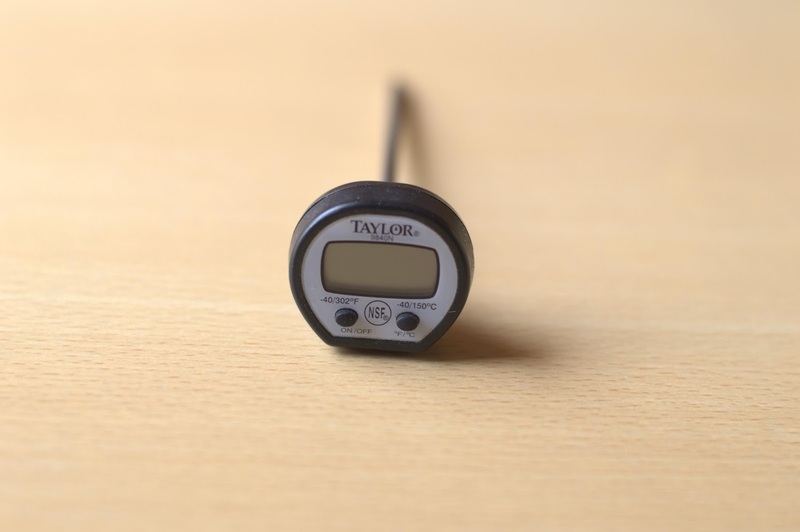 Oven thermometer - Helps you cross check the temperature inside your oven and helps you set it accordingly. Especially important if you use an OTG (Oven Toaster Griller).These thermometers go from simple to sophisticated and expensive, check these out. 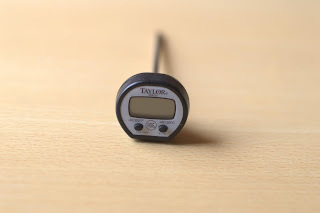 I use a simple one from Taylor. Check this here. Buy this in the USA. Baking pans: Good quality non-stick pans of standard sizes, 8 and 9 inch round and square tins(unbelievably not so commonly available here! ), springform tins, gorgeous bundt pans. I would kill for those from Nordicware! Standard size loaf pans, standard and mini size muffin trays, Madeleine pans, mini loaf pans, mini bundt pans, tart tins, tube pans, Pullman loaf pans and lots more! Check Chicago Metallic, USA Pan, Wilton, Nordicware. 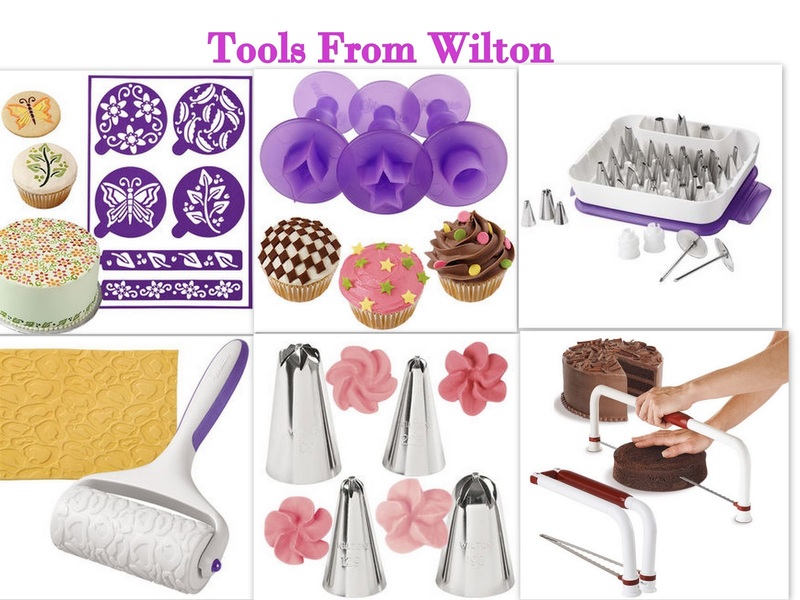 I love my Wilton tube pan for baking chiffon cakes, Nordicware Heritage Bundt pan, Nordiware Mini Bundt pan, Loaf pan, my 8'' square pan among other things. Check USA prices here for tube pan, Nordicware Bundt Pan, Nordicware Mini Bundt pan, Loaf pan , 8 inch square pan. 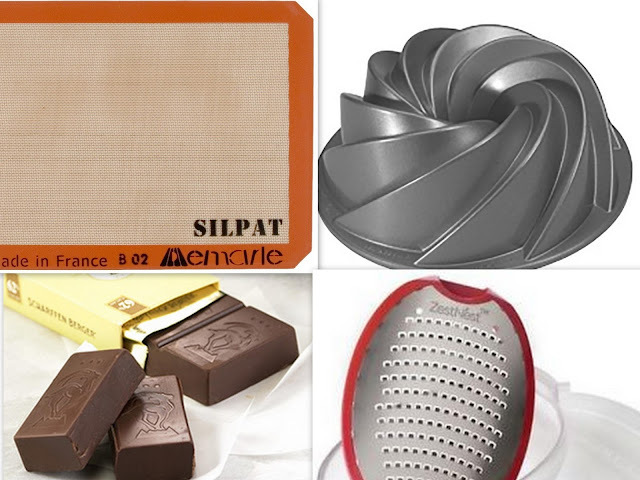 Non-stick baking mats: Silpat is the most popular brand. Get them in the size suitable for your oven size. 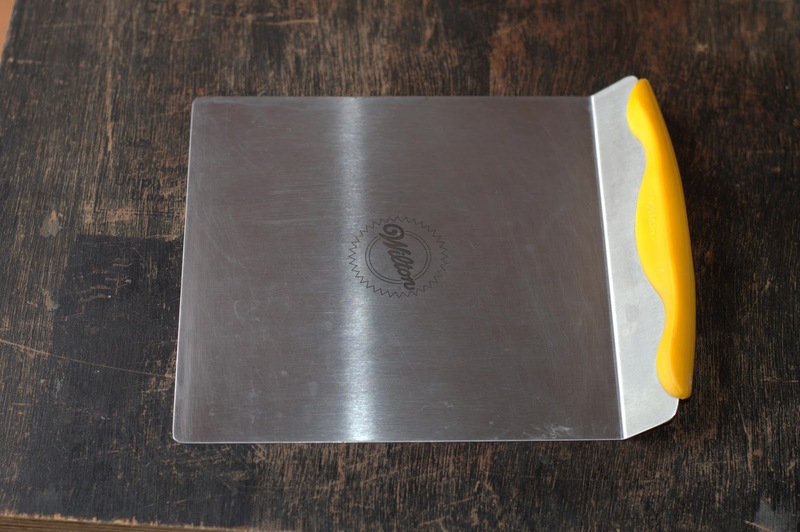 You could use it for baking cookies, breads etc. Check USA price here. Vanilla extract: You can make your vanilla extract own at home of course, but commercially made extract is supposed to be far superior, so get this if you have the chance. Premium vanilla beans like Madagascar, Bourbon, Tahitian. Sigh! Check out vanilla paste. Good vanilla is expensive, so beware of cheap vanilla. Also check Sprig and Goodness Vanilla in India. Other flavored oils, essences and extracts: Citrus oils ( lemon oil and Pure orange oil) from Boyajian are supposed to have pure flavor without bitterness Would be great in frostings, cookies and the kind. Rose Beranbaum recommends essences from perfumer Mandy Aftel. Check organic extracts from Flavorganics. Chocolate, chocolate chips: You get lots of premium brands and variety, with labels specifying the chocolate mass and more details. You can get Bittersweet, semi-sweet and even unsweetened chocolate. Good quality semi-sweet chocolate chips, butterscotch chips, cinnamon chips etc. Lindt,Valrhona, Callebaut,Guittard, Scharffen Berger are a few good brands you could check. Be sure to use chocolate with the cacoa percentage recommended in the recipe for best results. 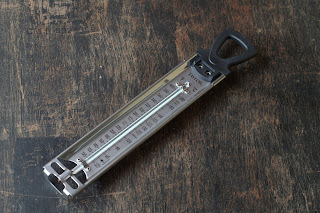 Liquid & solid measuring cups: Get a good quality heat proof one.Those from POURfect and Achor Hocking are supposed to be very accurate and recommended by Rose Beranbaum. Also check Oven Basics. I would love to have this glass measuring jar, perfect to use in the microwave! Measuring spoons: Get standard size spoon set of a good brand( I use sets from OXO), get one with a 1/8 tsp measure included. Buy this in the USA. There is also an odd size spoon set and yeast spoon, but those are not absolutely essential. Nice to have though. Also check POURfect. 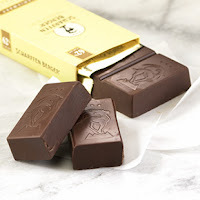 Cocoa, Dutch processed cocoa: Dutch process cocoa has always been on my wish list to try. 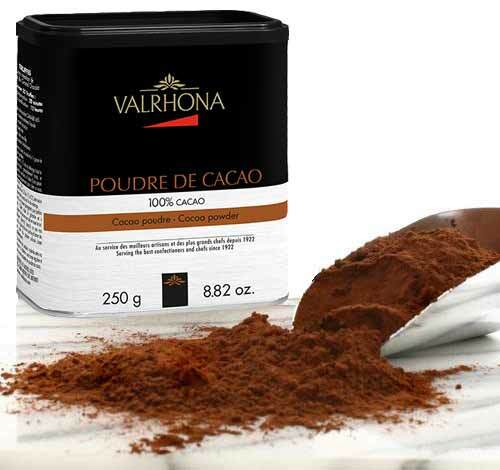 You can use this in recipes which specify the use of this cocoa and get those cakes with that gorgeous color! Valrhona, Scharffen Berger, Green & Black's, Van Houten, Pernigotti, King Arthur Flour, Droste are some brands of cocoa you could check. 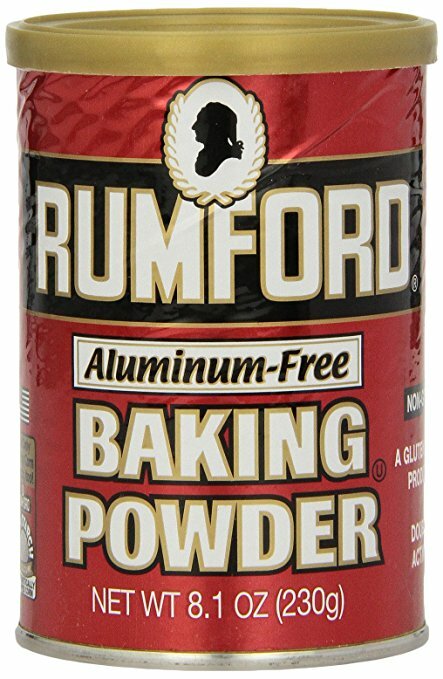 Baking powder: Aluminum free baking powder is recommended for better tasting bakes. Especially helpful in recipes like muffins where more of baking powder is used as more of baking powder leaves a kind of aftertaste. Get multiple smallest size boxes available, bigger ones if you bake commercially. Rumford, Bob's Red Mill. I use Rumford. 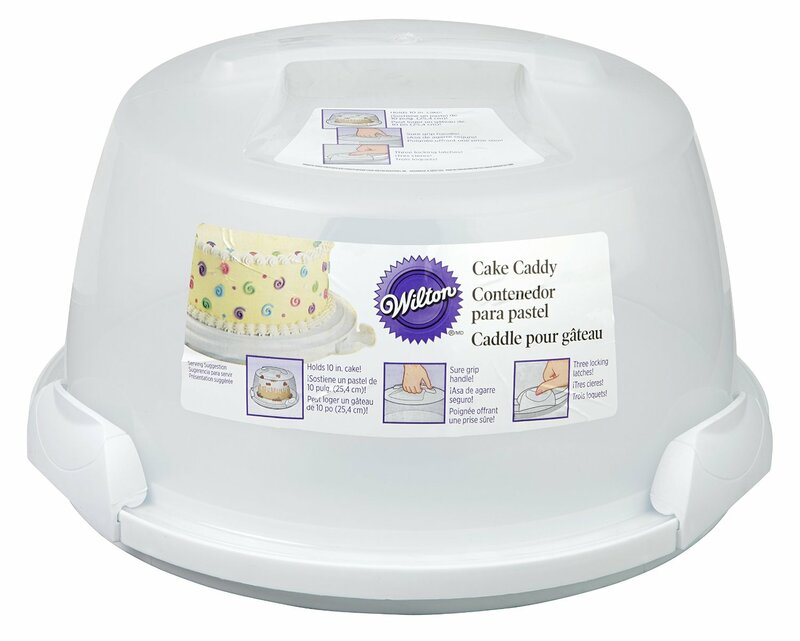 Cooling racks: Check racks which have the wire spaced close together as these racks are designed to support delicate cakes and cookies. A good one to have! Here is a simple one, the kind I use. Check those tiered ones if you bake professionally. Speciality Flours: You can make your own cake flour and pastry flour, bread flour, but commercially sold ones are supposed to give way better results. Check out whole wheat pastry flour, Wondra flour, white whole wheat flour, almond flour, coconut flour and what not! 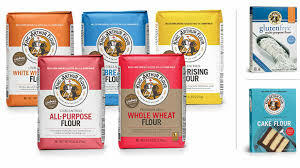 King Arthur Flour is a well known name. Color gel: Good quality gel colors for your cakes and desserts. Unless you bake professionally a small pack should last a long time. 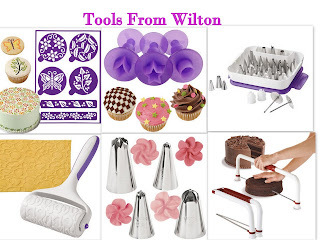 I use Wilton. 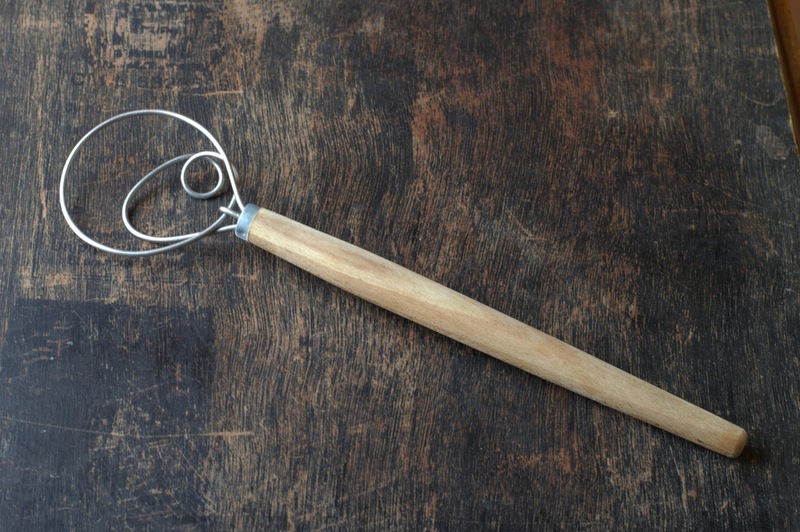 Cake lifter: Can help you lift your cakes easily, but I love using it for making puff pastry. Makes it so much more easier to move around the rolled pastry without tearing it. 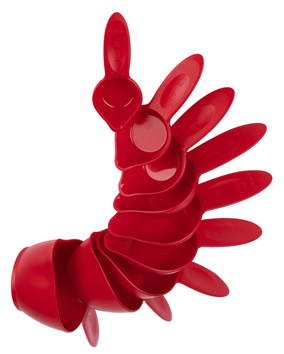 Check this non-stick one from Nordicware here. 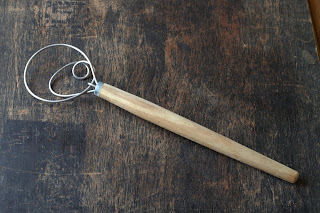 Danish dough whisk : Helps mix that sticky batter bread dough very easily. 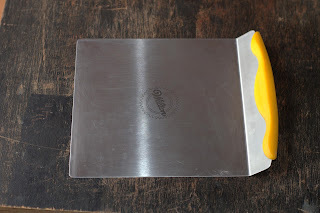 You can also use it for muffins and pancakes where you don't want to over mix the batter. Check this to buy in the USA, here to buy in India. Molasses: Grandma's unsulphured is recommended by many bakers. You could use it in breads, cookies,cakes etc for that dark color and flavor. Yeast: You do get good instant yeast here thankfully, Gloripan is the most commonly available one. But it comes in big 500-gram packs. Once opened the pack needs to be stored in the freezer. Lack of freezer space and lo..ong power cuts give me the nightmares. I find these single-use sachets very handy. If freezer space and power is not a problem, try SAF instant yeast. Also check Red Star, Fleischmann's yeast sachets. Cake decorating Am no cake decorator, but I think you surely must check those cake decorating tools, rolled fondant, Crystallized flowers from Sweetfield, leveling knives, meringue powder and a zillion other things! Dried fruits and nuts - Check Trader Joe's. This post is going to be work-in-progress for sure, I will add more with links as I come across stuff. Make your list quick, Black Friday or not! DISCLAIMER:*This post contains affiliate links. This means if you click on the link and buy through the link, I will earn a tiny commission on the same. I recommend products which I have used and found good or those I would consider buying myself. You will be paying the same price as mentioned on the website, there will not be any variation here. This commission will help me with me costs of running the channel and bring out more videos for you. Your support will be greatly appreciated!